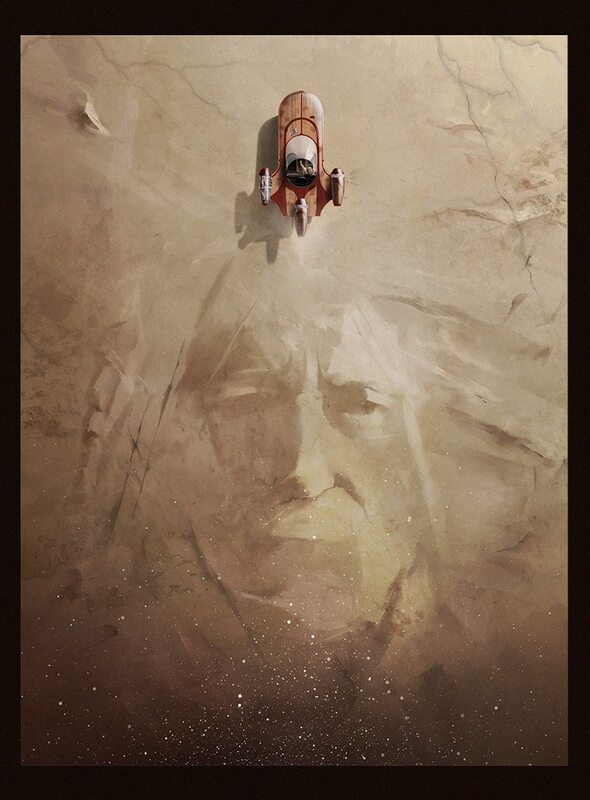 It looks like Bottleneck Gallery will be having some new Star Wars inspired prints available July 9, 2014 – however if you are on their mailing list you can order them early now, the email went out today! 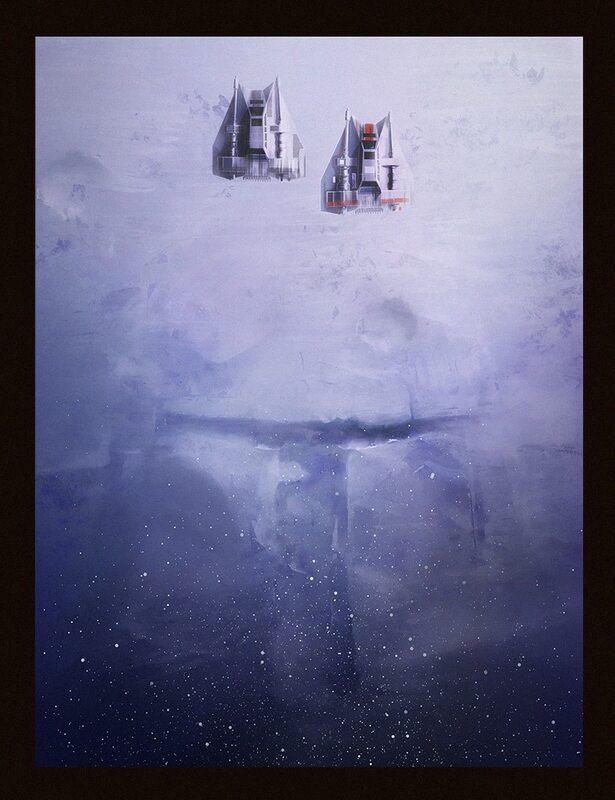 The prints each feature bird’s eye views of characters and environments from “Star Wars”, “Empire Strikes Back” and “Return of the Jedi”. 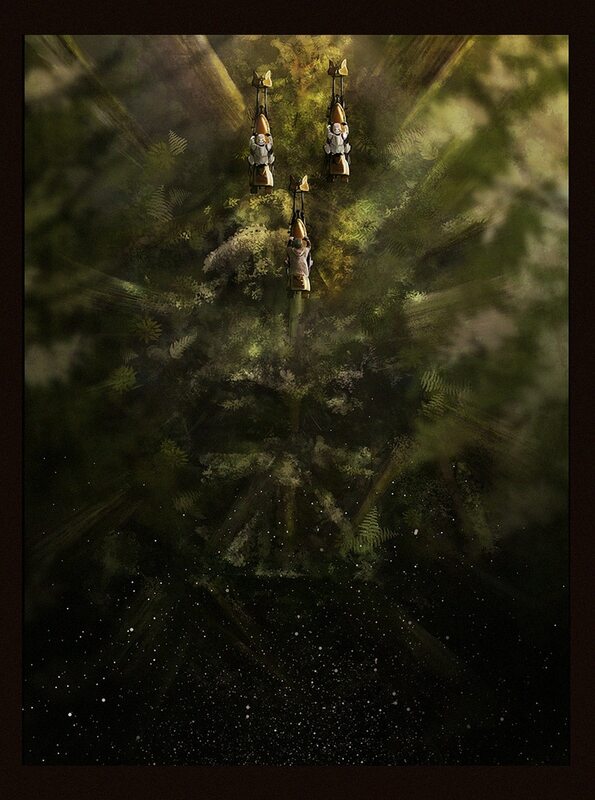 Each print is by artist Andy Fairhurst, they are 16″ x 20″ and numbered editions of 125. You can buy the individual prints for $35 or the full set for $100. Check out all the prints below! So it looks like the third print from Laurent Durieux’s Back to the Future series will be released at this years MondoCon and it looks awesome! The other two prints were big hits, especially the print for the second movie (blame hover boards) – hopefully some will trickle to online later but who knows. Comic book artist Jock will be posting up two 48 hour time release prints today featuring his artwork from the “Batman: The Black Mirror” graphic novel featuring Detective Comics #871-881. Check it out here! 1XRUN will be releasing a new giclee print by Dan Quintana today at 12PM EST entitled “Spectre 3”. If you have not seen one in person, his prints are unique and really high quality – they look amazing in hand. Well the new teaser is out for the next Star Wars film (The Force Awakens) and it looks pretty good! A lot more revealed in this one as far as characters, settings and the storyline – check it out along with some screenshots!